Porcelain tile installation on the east face of the tower. Exterior work was considerably slowed last week because the of the inclement weather. 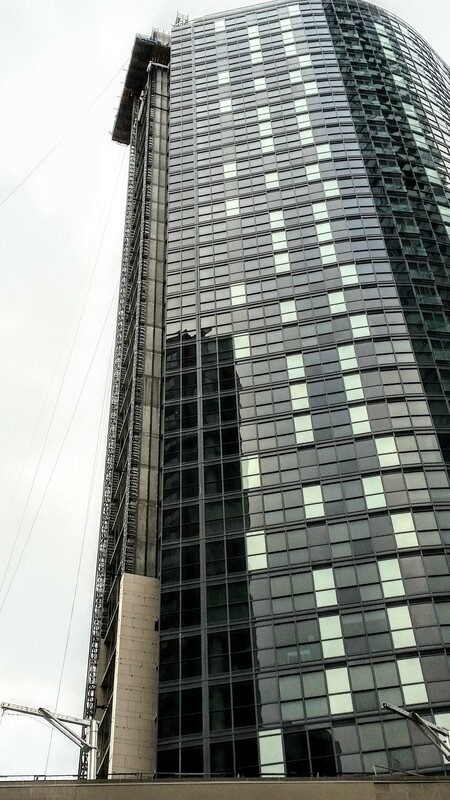 Despite the weather some progress has been made on installation of porcelain tile on the east face of the tower, including finishing tiling on the 36th through the 38th floors. This week is already of to a snowy start but more critically the forecast calls for below normal cold which will limit exterior work. So as weather permits work may progress on the east face of the tower and the outdoor pool surfaces. In the interior of the building unit inspections have been carried out for January move-ins. Wood working is being done in the 6th floor bar/lounge amenity room, as well as the adjacent theatre room. Tiling of the steam rooms is in progress and carpet flooring has been installed on 7th floor corridor. This week will see more interior work continue in the podium level amenity areas. Please check back here at ltowerconstructioninfo.com for regular updates. 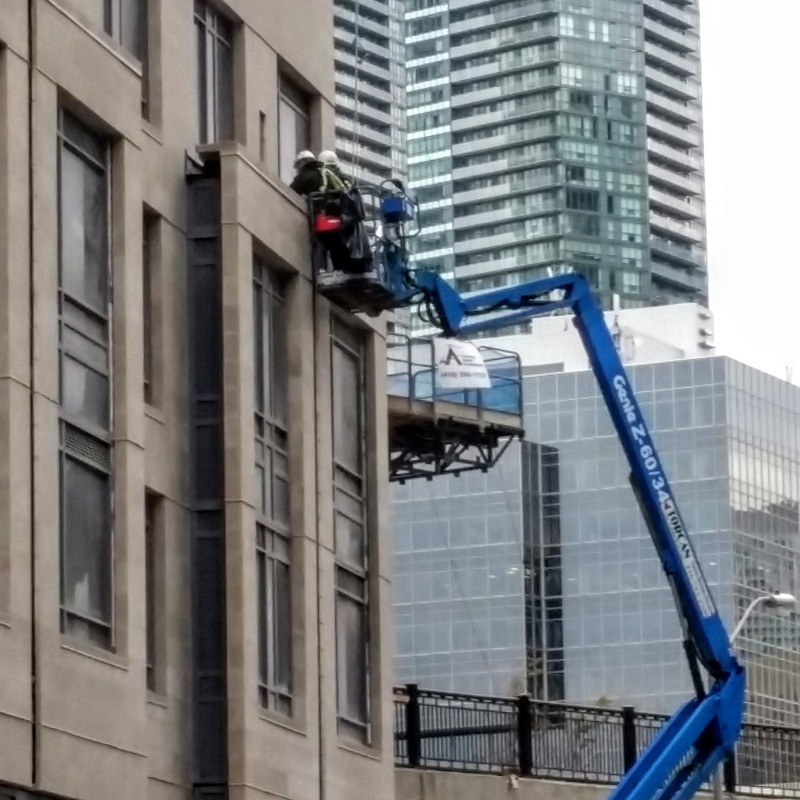 Touch ups on the podium facade. Exterior work as weather permits on the tower and podium deck. Finishing work in amenity areas and podium level hallways. 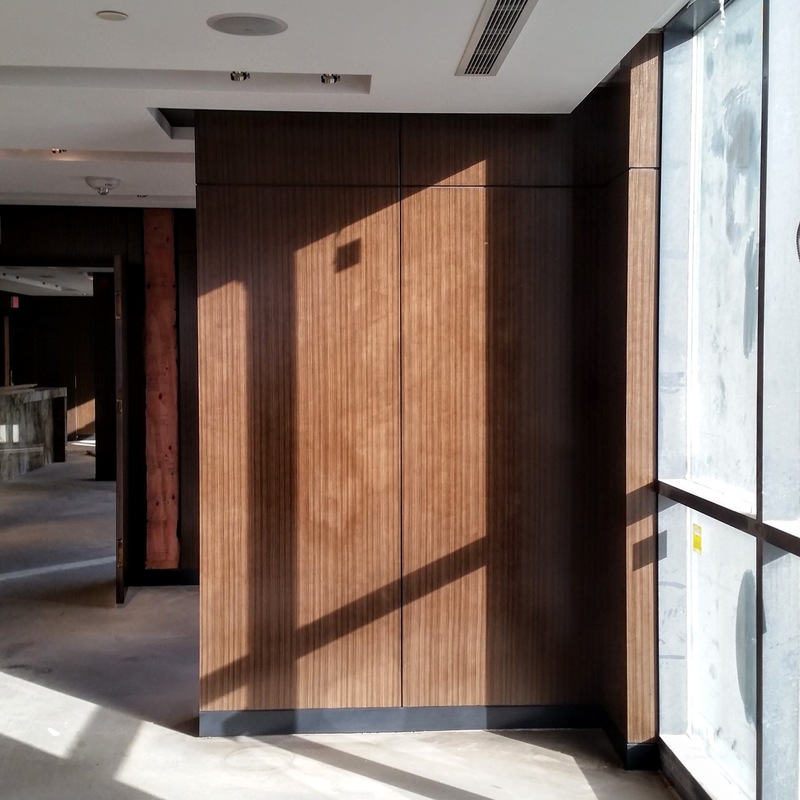 Panelling installed in the interior bar/lounge amenity space.